At Monkey Air, we test as much equipment as possible to see what really works and what is overpriced hype. Through this process, we are able to identify the most appropriate gear for our students and customers. Market forces should not force sales, but rather, an individuals needs should dictate their informed equipment choice. We started by building boards and scouting around the world for kites and other equipment with emphasis on body friendly harnesses, kites, boards, etc. 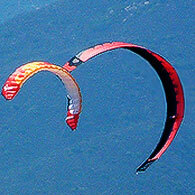 Do you like riding waves with a kite more than all else or are you a flat water jumping nut? Lots of questions on your personal history and needs as well as physical history must be considered. We are retailers and distributors for some of the greatest names in the sport and will get you what you need from your first lesson to your first big wave, or wave-kiting trip with us. 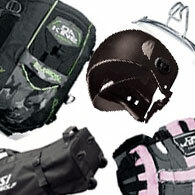 Call or email us for consultation or availability on any of our kitesurfing equipment.